A dozen volunteer firefighters in Rockville -- included three teenages arrested for burglary and theft -- have been suspended after they were accused of being part of two separate break-ins. The latest incident happened Friday morning. Investigators say three 17-year-old firefighters were arrested after breaking into the fire department warehouse on Dover Road. After the teens tripped an alarm there, police from Montgomery County and Rockville found a variety of items stacked just inside the door, including bio suits, rappelling equipment, axes and pry bars. The off-duty volunteers were allegedly planning to steal the items and had obtained a set of keys from a firehouse other than the Rockville one to which they were assigned, officials said. The arrests follow a previous incident on March 9, when nine other volunteers were accused of entering the community room of a Rockville apartment complex to play pool or table tennis. Rockville police are investigating the incident, but the suspended members have not been charged yet. 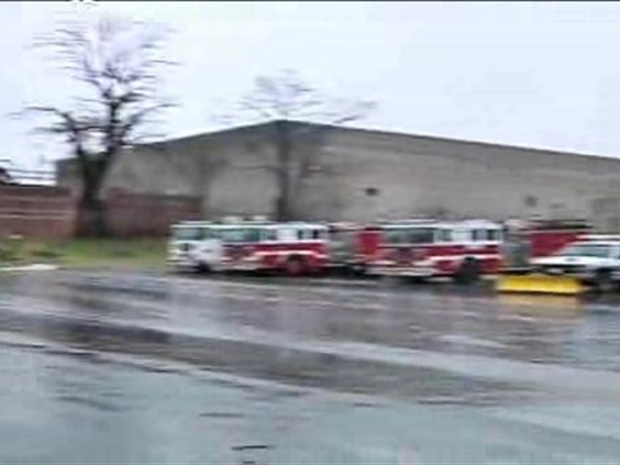 Three 17-year-old firefighters in Rockville were arrested for allegedly trying to steal equipment from a fire department warehouse. Assistant Fire Chief Scott Graham says the suspensions will not affect the fire station’s staffing levels, but will affect the public's perception of its firefighters. “When things like this happen, it’s a black eye for the whole fire service,” Graham told the Washington Post. Graham said the incidents are particularly troubling because people so readily allow firefighters into their homes during an emergency. A heart attack victim on the floor of her kitchen, he said, shouldn’t have to worry if a firefighter or paramedic goes into her bedroom for medication and sees her jewelry box.